Free International Phone Calls to over 50 Countries Worldwide! Do you want to call your Family, Relatives, Friends and Business Partners in other Countries whenever you want and talk to them as often and as long as you want?..without being afraid of how expensive it may be... or being shocked when you receive your phone bill? SAY GOOD BYE TO YOUR PHONE BILLS! 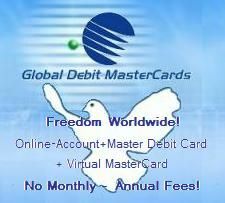 You can call to over 50 Countries worldwide free and unlimited! There are no monthly payments, no expensive phone bills ever again, you can have the freedom of calling your loved ones whenever you want and as often as you want, for only a one-time setup payment of 34.50 EUR($47) and save 100s of Dollars every Month! By being a member of Sms-and-Phone.com, you have not only the freedom for calling all listed Countries free, but at the same time earn commissions for helping your Family, Friends and Business Partners have this freedom too! See under Affiliates for your potential earnings simply by telling others that you are calling them free! They will want to have It too, and you will earn a great Fortune for referring new members to Sms-and-Phone.com with zero-effort. Beside of calling over 50 Countries for free, you will be surprised how much cheaper other Countries rates are! Other countries than the listed 50 Countries rates are in average ¼ of what you are paying currently! Register for your free international phone calls account today and enjoy the freedom of calling in over 50 Countries free and unlimited and connect with the possibility of earning up to 1,000,000 Million Dollar (One Million Dollar) or more! For more info on earnings potential click here with our 7-level earnings model. Check the free Countries below to see if your favorite Countries are listed as well. If not, contact us to find out what the calling rates to your favorite Country/Countries are. help you to achieve the income of your dreams! Below are the Countries listed which you can call unlimited and free as soon as you have registered, confirmed and activated your Sms-and-Phone.com account. In order to have your calls totally free, you must be calling FROM AND TO one of the countries listed above. i.e. You are calling from China to Switzerland or you are calling from Italy to United States, or from Canada to France, or from Spain to Panama (calling and destination countries must be both listed above). If your resident Country or your calling destination is not listed above, your calls will not be free. In such a case, you will still save money, as the calling rates that we provide, are in average 1/3 or ¼ of what you are paying currently, you will still save between 50 - 75%.